In medical treatment, more is not always better. Each year, thousands of people receive inappropriate medical treatment for their health problems or too much treatment for a problem that doesn’t pose a serious threat to their health. But there are a number of steps you can take to protect yourself from the problem of inappropriate treatment and overtreatment. How big a problem is inappropriate medical treatment? Only 37 percent of women diagnosed with ovarian cancer received care that adheres to guidelines developed by National Comprehensive Cancer Network. Women with advanced ovarian cancer who did not receive the recommended care had a 10 percent lower survival rate than those who did. Nearly 12 percent of people with stable cardiovascular disease undergo inappropriate angioplasty and stent placement. These unnecessary stents can put you at risk for blood clots, bleeding from anti-clotting medications, and artery blockages caused by scarring. People with chronic back pain are prescribed narcotics and referred for surgery rather than receiving anti-inflammatory medications and physical therapy, the treatments most often supported by clinical research. In addition, complex fusion procedures are performed when less complex surgery would be equally effective. These complex procedures are linked to an increase in complications, including heart attack, stroke, and pneumonia, and disability. Approximately 30 percent of common surgical procedures, including hysterectomies and heart bypass surgery, are provided for reasons not supported by clinical research and may be harmful to patients who undergo these procedures. For older men with early stage, low risk prostate cancer, active surveillance is recommended, but in a study, only one-fifth of the treating physicians followed this approach. The remaining patients received radiation and/or surgical treatment, which can cause incontinence and/or erectile dysfunction. The number of thyroid cancer cases has doubled in the last two decades, but the death rate has remained very low and virtually unchanged. 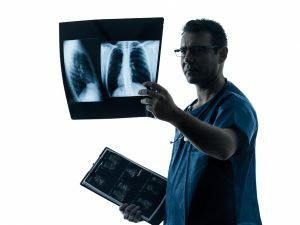 Researchers believe that an increase in ultrasound screening of patients with no symptoms may be leading to the discovery and treatment of small tumors that may never grow, spread, or pose a serious health risk. There are a number of proactive strategies that can help you lower your risk of over treatment or inappropriate medical treatment. Get a second opinion. If you receive a serious diagnosis, such as cancer, or a recommendation for surgery, get a second opinion from a top specialist that can help confirm or change the diagnosis and treatment plan or suggest a more appropriate approach. Educate yourself. Learn all you can about your treatment options and the risks and benefits of each option. Information should come from objective and reliable sources that are up-to-date on the published clinical evidence. Connect with skilled physicians. It’s important for you to be able to access physicians who are most experienced with the condition you’re facing and all appropriate research and treatments, not just physicians who may be closest geographically or part of your insurance network. Choose an advocate. It often helps to have a family member or advocate to support you through this process. Professional health advisors can provide objective educational resources and help you identify and gain access to top specialists. They can also schedule appointments for you and organize and transfer your medical records to all treating physicians involved in your care. With the right strategies and resources in place, you can feel more confident in your decision and empowered to choose the treatment plan that’s most appropriate for you.